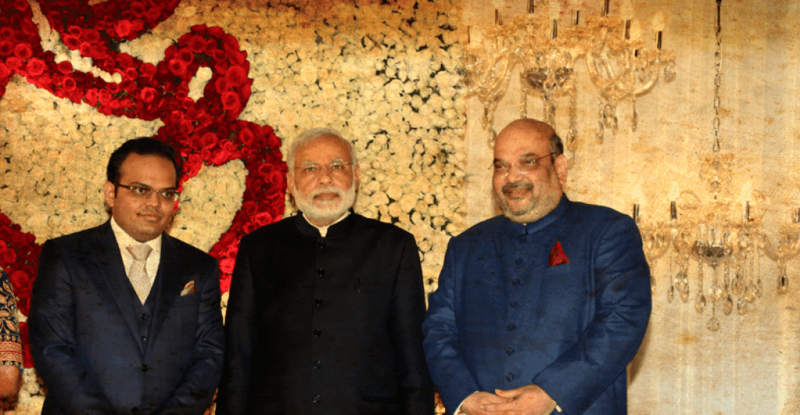 News website The Wire has left entire BJP and central government running to defend Jay Amitbhai Shah son of Bhartiya Janata Party president Amit Shah. According to website report by journalist Rohini Singh the turnover of a company owned by Jay Amitbhai Shah increased 16,000 times over in the year following the election of Narendra Modi as prime minister and the elevation of his father to the post of party president, filings with the Registrar of Companies (RoC) show. It is not shocking that relatives of people in power always show increase in their wealth but it is blow to voters imagination when happened in the vicinity of high rank leader and close aid of Prime Minister who proclaimed ‘Na Khaunga Na Khane Dunga’ (Neither will I eat nor I let others eat) regarding corruption money. Before any clarification from Jay Shah or his company, union Rail Minister Piyush Goel had seen announcing defamation case of Rs 100 cr against the website. Later many spokesperson, ministers also seen defending Jay Shah on TV or social media. The episode reminded me a previous incident of Robert Vadera (son-in-law of Congress president Sonia Gandhi) land deal expose in which all Congress party was doing the same. It is notable that same journalist exposed Robert Vadera story. The prime minister who is too vocal regarding each issue when remain silent in corruption connected to own party make me lost the trust in his ability of showing clean politics. Why didn't he set an example to announce inquiry into the matter. Sadly his 'Mann Ki Baat' never audible in such matters. Neither in earlier allegation of Vyapam Scam by Madhya Pradesh government nor Lalitgate controversy involving Rajasthan chief minister Vasundhra Raje. His silence also irked during violence by cow vigilantes or dalit abusing. It is possible that story has another side too and party instead of defending Jay Shah with defamation case reveal that side of the story if any. I salute Rohini Singh and The Wire for bringing in that story when most of the media is boot licking the government. Jay Amit Shah, Amit Shah and Modi government has to come out clean from the controversy to regain the lost trust in them. Till then God Bless India. Politics = Corruption. BJP has proved it as eloquently as Congress or any other party.